What set Benny Leonard apart? In Arcel’s view, sheer ring intelligence. Benjamin Leiner, the son of Orthodox Jews, grew up in the Lower East Side of New York City, where Irish, Italian and Jewish ghettos seethed in close proximity. Street fights and brawls with rival gangs were simply part of growing up in that quarter. The young Benjamin received instruction in using his fists from his uncles, the logic being it was better to defend yourself with your bare hands as opposed to relying on bats or pipes. The tutelage must have been of rare quality; their nephew proved himself a street fighter to be feared, prompting the uncles to take him to the neighbourhood gym where he might learn the finer points of fisticuffs. At the time, Ben was 11 years old. July 24, 1923: fifty thousand in Yankee Stadium watch Leonard (left) defeat Lew Tendler. As a ring tactician, Leonard was nothing less than brilliant. He studied boxing like an earnest grad student, spending hours in the gym not necessarily training, but watching other boxers, observing their moves, footwork, feints and timing. Approaching the sport from an analytical point of view, he found openings and weaknesses where others could not. Quick of both hand and foot, with an excellent jab and a devastating right hand, he was slippery and hard to hit. He countered with precision, making his opponents pay for the slightest mistake. Competing in a lightweight division stacked with high calibre talent, Leonard proved himself the best of the best, wresting the world championship from the formidable Freddie Welsh in 1917 and holding it for nearly seven years. He turned back the challenges of such excellent boxers as Johnny Dundee, Richie Mitchell, Charley White, Rocky Kansas, Johnny Kilbane and Lew Tendler. Handsome and a natural-born showman and charmer, Leonard was revered by the public, becoming a true celebrity and a massive draw in New York. His legendary battles with Mitchell and Tendler proved major events, attracting huge crowds of fifty thousand or more. Part of Leonard’s appeal was his clever boxing style, sophisticated and artful, balletic in its constant maneuvering as he danced and darted, Benny the supreme matador, always one step ahead of the bull. As he liked to often boast (while at the same time reassuring his constantly worrying mother), his peerless defensive skills allowed him to win fights without even getting his hair “mussed.” His fans cheered with glee when, just before exiting the ring after another victory, Leonard cocked his head and proudly smoothed a hand over his coiffure. 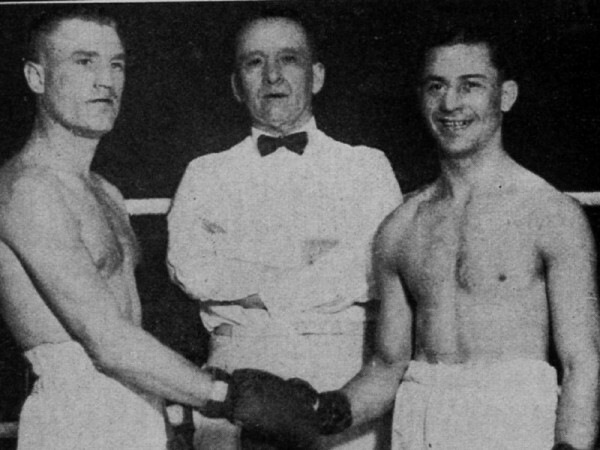 Leonard (right) with dangerous challenger Richie Mitchell. 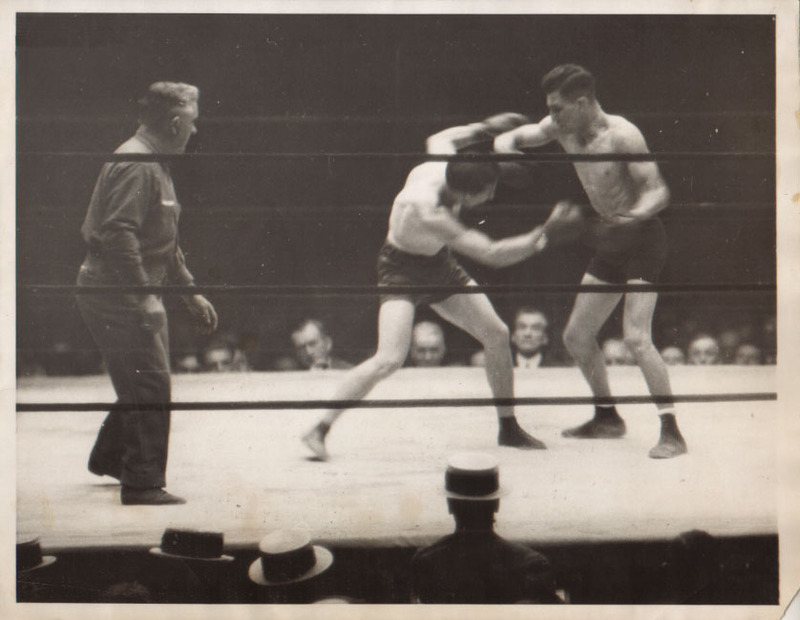 Leonard was still at the top of his game and undefeated as champion when he announced his retirement in January of 1925. He had become sympathetic to the pleas of his aging mother who could never bring herself to watch any of his fights. (As he didn’t mind admitting, Benny was a certified “mama’s boy.”) Besides, he had millions of dollars in the bank and nothing left to prove. But the stock market crash of 1929 obliterated Leonard’s savings and compelled him to return to the ring. 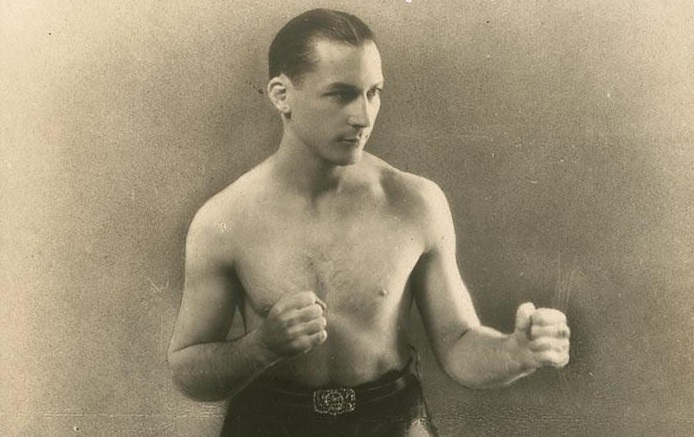 The ill-fated comeback ended in 1932 with a six round loss to future welterweight champion Jimmy McLarnin. 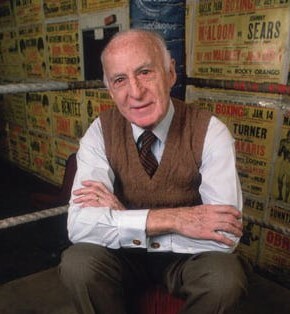 Leonard never fought again but boxing was in his blood and he didn’t stray far from the gyms and fight clubs. He became a referee and in 1941 suffered a heart attack while officiating a bout in New York City and, perhaps fittingly, died in the ring.